Aldo Leopold is best known for writing A Sand County Almanac (1949) in which he articulates his lifelong philosophical search for how humans could “live on the land without spoiling it.” Leopold’s writing is an inspiring example of the power of the written word to bring about change in the world and in individual lives. As a work of great literature it communicates the Land Ethic not just as an abstract concept, but as a teaching of the heart. 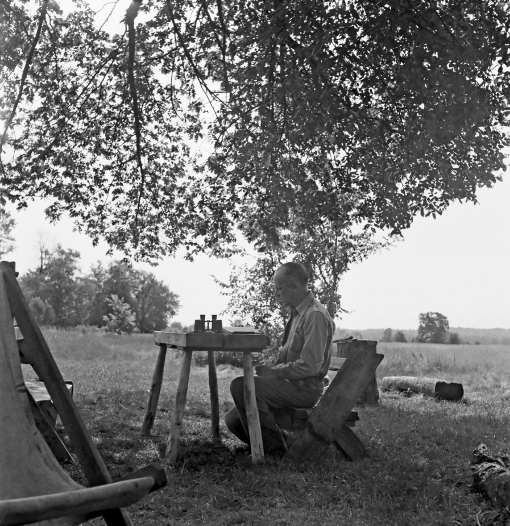 The purpose of the Aldo Leopold Writing Contest is to build on this legacy by inspiring the next generation of citizens to participate in the evolution of the land ethic through the written word. For 6th – 12th grade students, the Writing Contest is an effective and inclusive way to engage the next generation of citizen leaders in an urgent conversation about today's global conservation issues. It is effective because of how many people it touches: not only the student participants, but also their peers, their teachers, their parents and grandparents, and their larger communities. It is inclusive because the essays are judged anonymously based on the character of the content, without regard for the writer’s race, national origin, religion, or any other factor.